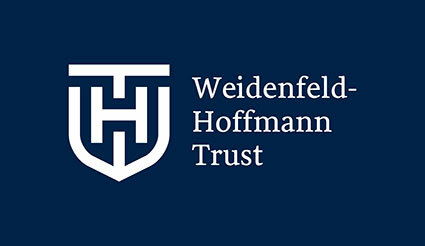 The Weidenfeld-Hoffmann Scholarships and Leadership Programme cultivates the leaders of tomorrow by providing outstanding university graduates and professionals from developing and emerging economies with the opportunity to pursue fully-funded graduate studies at the University of Oxford, combined with a comprehensive programme of leadership development, long-term mentoring and networking. The programme is managed by the Weidenfeld-Hoffmann Trust, a charitable trust bringing together and developing the inspiring educational work founded by Lord Weidenfeld and previously run by the Institute for Strategic Dialogue. Since its foundation in 2007, over 249 scholars have taken part in the programme. They are an increasingly diverse group, originating from 68 countries and studying 53 different courses across 30 departments. Full details of the eligibility criteria and how to apply are given on the relevant pages linked here. There is also a partnership between the Weidenfeld Hoffmann-Trust and Chevening. Applications for the Chevening-Weidenfeld-Hoffmann Scholarships must be made via the Chevening website. To be considered as an award recipient, applicants must list the University of Oxford as their first preference university choice. Chevening-Weidenfeld-Hoffmann Scholars will also be subject to the terms and conditions of the Chevening Scholarship. The Weidenfeld-Hoffmann Leadership Programme is a unique programme designed to train future leaders. All Weidenfeld-Hoffmann Scholars are required to participate fully in the programme, which consists of around 160 hours of bespoke training. The programme is designed to complement your course workload. The Enterprise Challenge - Scholars work together over the year to develop an entrepreneurial idea tackling a pressing social need. For further details of the Leadership Programme please see the Weidenfeld-Hoffmann Trust website.